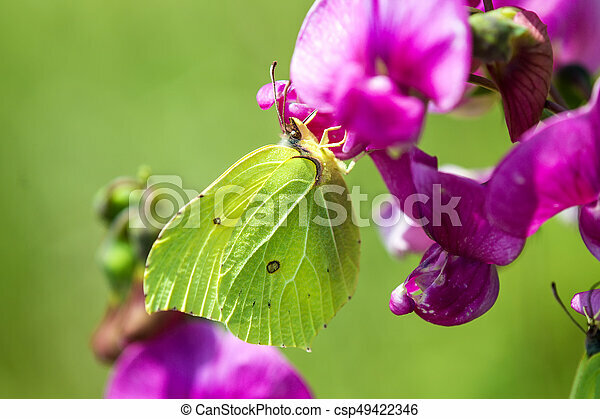 Brimstone butterfly, gonepteryx rhamni on vetch flower. 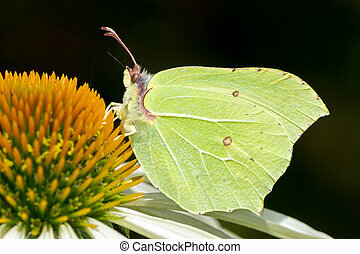 Brimstone butterfly (Gonepteryx rhamni) sucking nectar on the blossom. 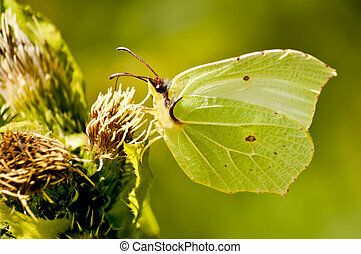 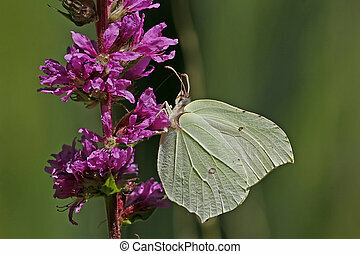 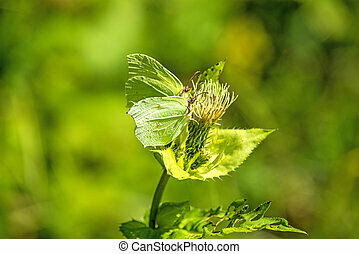 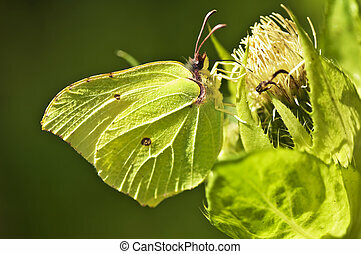 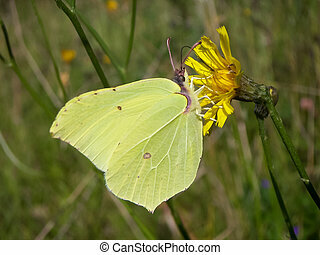 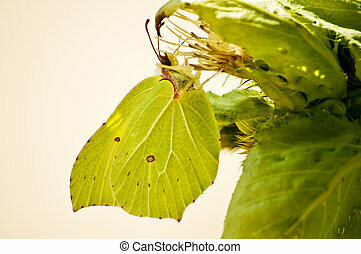 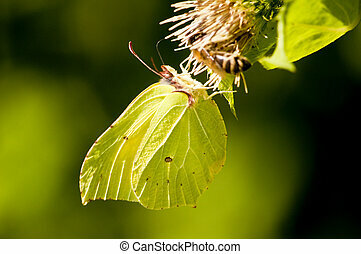 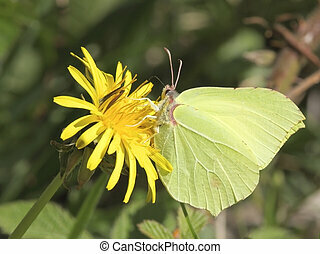 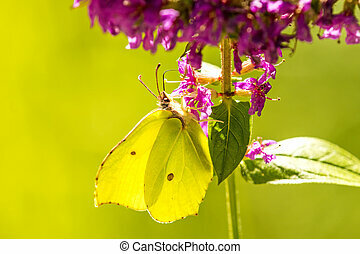 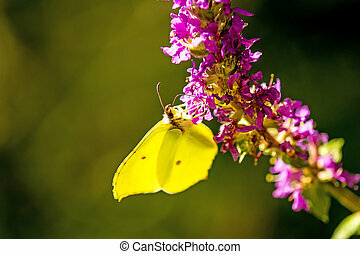 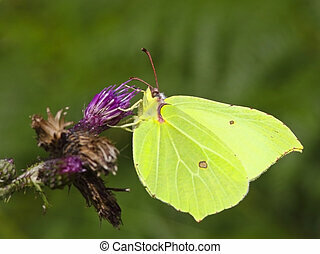 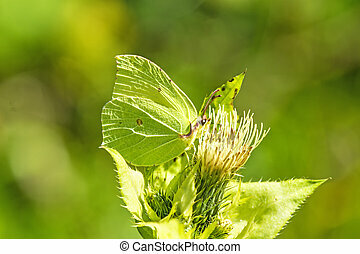 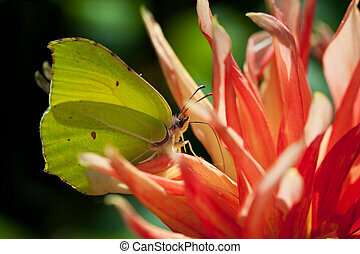 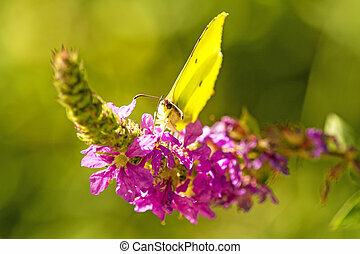 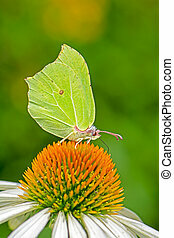 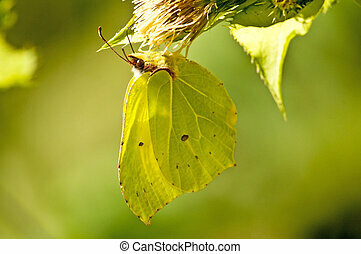 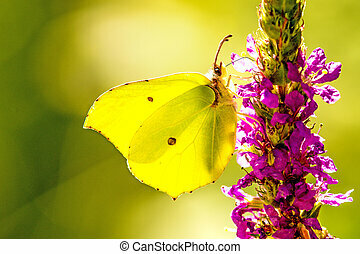 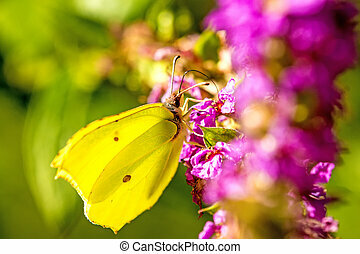 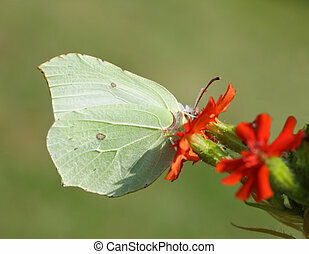 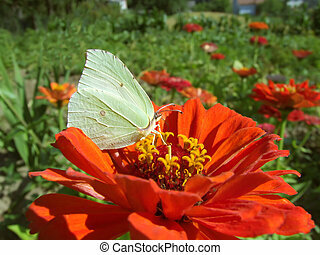 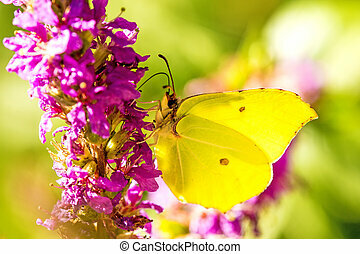 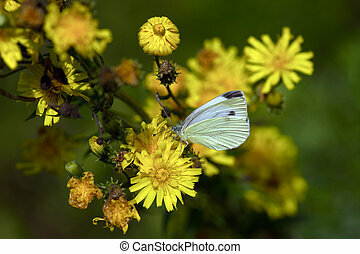 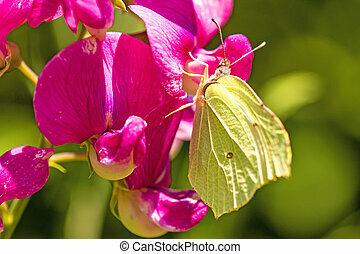 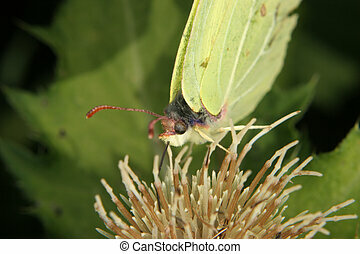 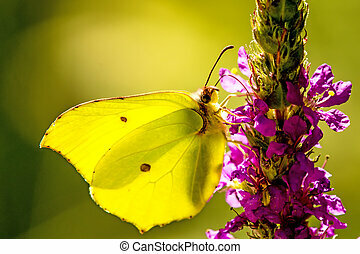 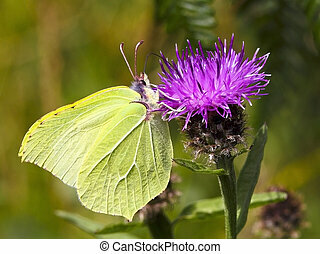 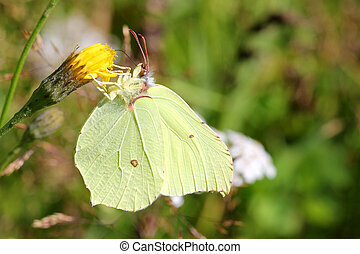 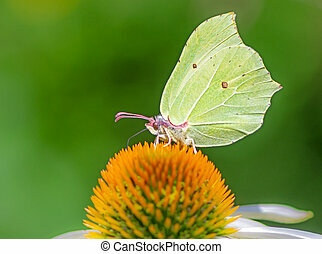 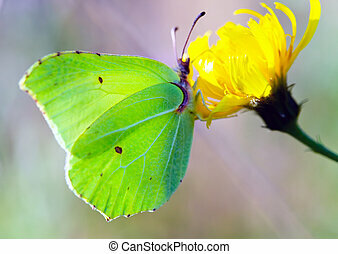 Close up of Gonepteryx rhamni or Brimstone butterfly, female, feeding on yellow flower.